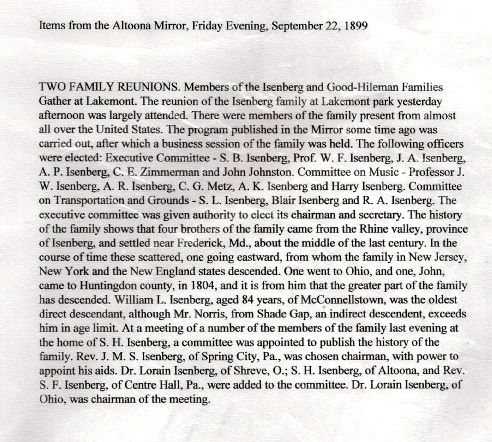 The Isenberg Family held Reunions at Lakemont Park in Altoona from 1889 until 1937. A.R. 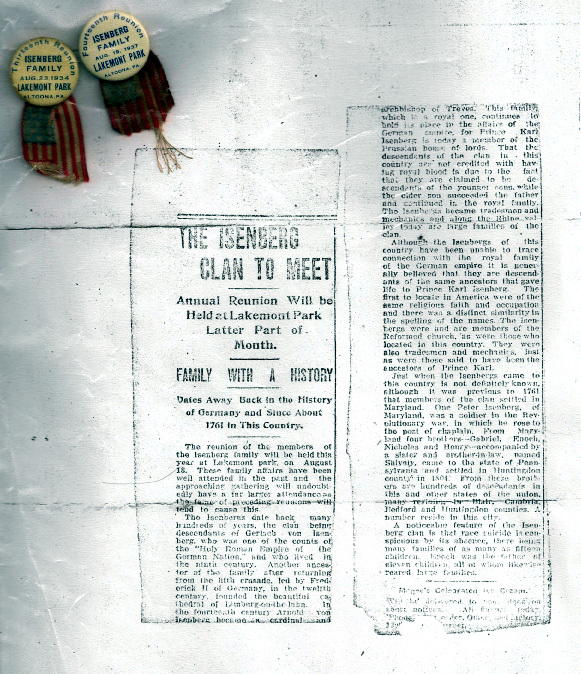 Isenberg served as Secretary of the Family during these years. Many, but not all of his records have been passed down with a plethora of other ‘stuff’. I have taken on the title of “Keeper of the Stuff”. It really serves little purpose without being shared. You’ll find here the programs from all but one (1919) of the Reunions. I have included a 1916 program with corrections and a note made by A.R. in preparation of the 1919 gathering, But there was no final 1919 program included in his records. I thought the snapshots of the Lakemont Park were very interesting and reminded me of what it was like before recent destruction, and how I remember it. Sadly, somewhere in the 1980’s someone decided to cut all the beautiful trees down and turn it into an ugly and failed amusement park. See the 1900 book section on Isenberg Reunions for more information. Altoona Mirror article from September 22, 1899. Altoona Mirror article, date unknown. 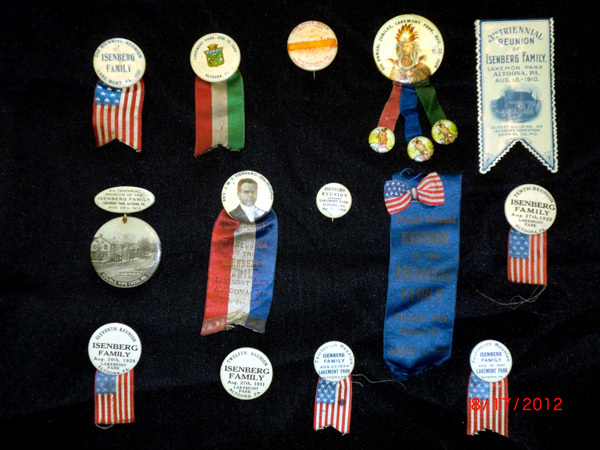 Also showing 2 of the Reunion buttons from 1934/37. Thanks to Betty Jane (Leighty) McCaa for the 2 above items.